Language is the first gift we gift our children. We speak and sing and read to our children at a surprisingly early age in Montessori: At eighteen weeks after conception when an unborn child begins to hear. Our list of books for children under two may surprise you, but if you have been following along for awhile it likely won’t. Here’s the possible surprise. I don’t read infant books to infants. In fact I actually really detest them. Yes, there are certainly some nice ones out there. 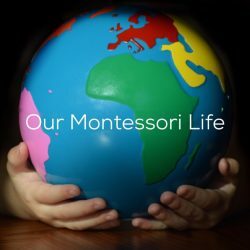 Global Babies seems to be popular especially within the Montessori Social Media world, but it’s stereotypical dressing of children from different cultures is disappointing. Not all children from Asia or Africa or Europe or any of the continents dress in traditional garments. The text is also fairly lacking. So what do we do instead? We read language rich books. Right from the beginning. 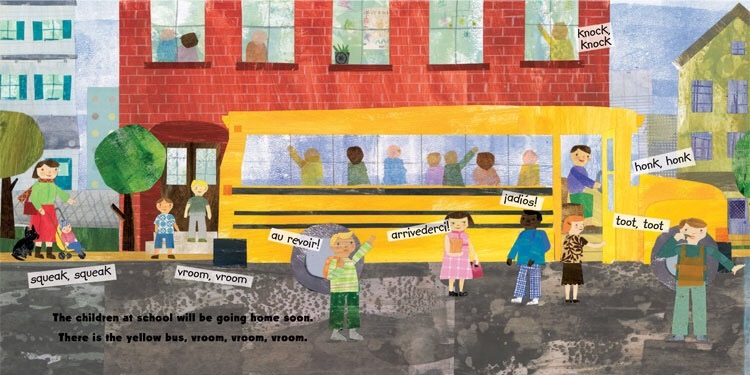 Sounds Around Town was one of Quentin’s very first books. It is full of such rich language, a multicultural setting without specifically touching on it and interesting artwork. Journey Home from Grandpa’s was another first book of Quentin’s. We must have read this over 100 times. 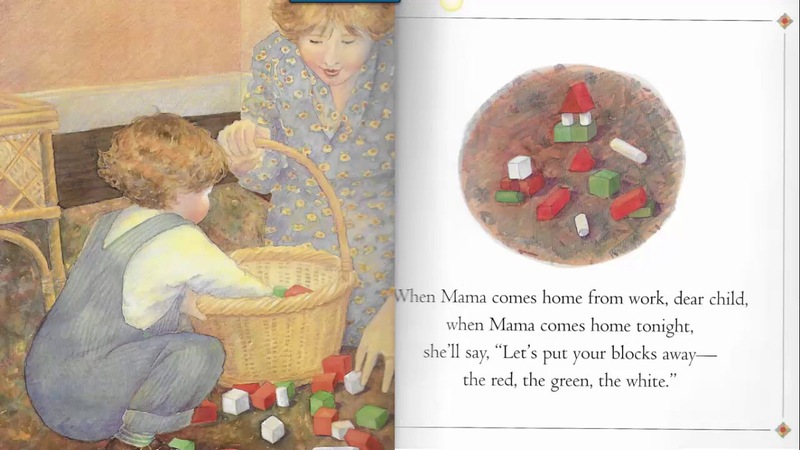 Again the repetitive text is not dull like other toddler focused books. It is instead richly descriptive. 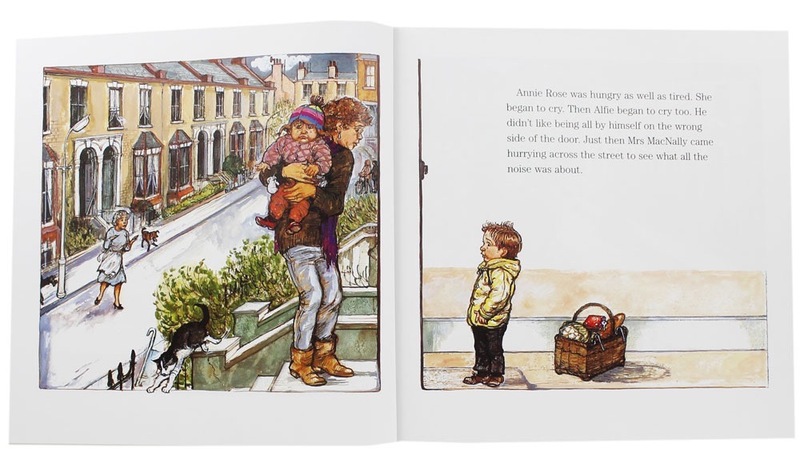 Alfie Gets in First is only one of the most amazing series of books by Shirley Hughes. It is our absolute favourite Montessori compatible children’s book series for 0-6. When Mama Comes Home Tonight was another of Anthony’s favourites. There aren’t many great books that speak to a Mother’s role outside the home and what they do when they get home. We love the kind and loving images. Good Night Moon needs no introduction. It has been a favourite since 1947. It also has soft and flowing text that is perfect for a toddler bedtime or rocking an infant while feeding them. Books express so much about who we are and what we hold dear. When reading with a child at any age, choose a quiet time of the day, a comfortable spot in your home and relax. Start early. A child begins learning language while still in the womb, but it is also never too late. Finding time each day to share a book with a child will have lasting neurological and social effects. 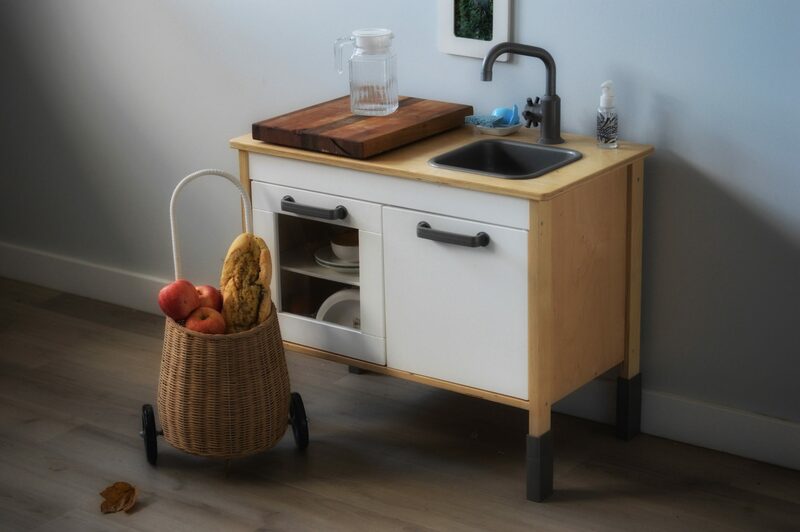 Not only on the child but also the adult.